It was in an ophthalmology waiting room that I first heard about NACD. I struck up a conversation with a mom who was feeding her daughter through a g-tube. My son, Collin, like her little girl, used a feeding tube to eat. He was also cortically blind, had a catastrophic seizure disorder, extremely low muscle tone, and global developmental delays. Though her daughter’s diagnosis was different than Collin’s, we immediately took comfort in talking to someone else who ‘got it,’ and when she started explaining NACD to me, I felt my heart rate quicken. A personalized developmental plan?! That I could implement myself?! It seemed too good to be true. 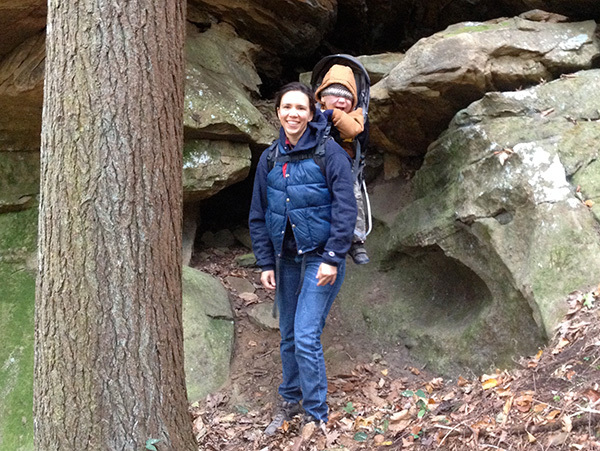 At our first evaluation with Bob, Collin was 11 months old and virtually unresponsive. He did not interact with us at all, look at anything, or do any typical baby things. Within our first 3 months of program, he was looking directly at colored lights and had laughed for the first time in his life. Now, three and a half years later, he has potty-trained himself, stands and even takes steps with assistance, and enjoys many 4-year-old activities in his own way. 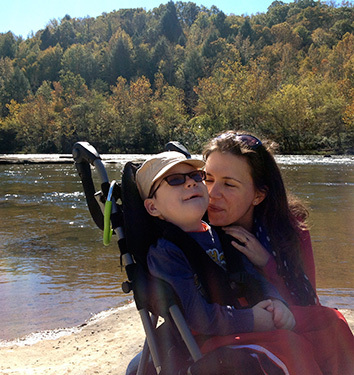 There have been many hiccups along the road – illnesses, mommy burn-out, unhelpful physicians – but from the beginning, Bob and Sara have been quick to remind me and my husband to relax and remember that we know Collin best. With their guidance, we have become more and more confident in our roles as advocates and have consequently ‘fired’ doctors, sought second (and third opinions), said “no” to some pieces of equipment and fought for others, and learned when to take breaks and just have fun. We obviously still have a long way to go on this marathon we’re running, but as Collin’s advocates, we are calling the shots and setting the pace to make it as full and enjoyable an experience as possible. Becoming an Advocate: What Does It Take? I remember very clearly the day I chose to be an advocate for my son. We were at a neurology appointment, which in those days came every week or two as we tried desperately to get our hands on the reins of his catastrophic seizure disorder. This appointment was to determine the effectiveness of his most recent antiepileptic drug. The doctor – who we liked and trusted and still see regularly – asked about changes in seizure frequency (none) or severity (also none). He eyed Collin in my arms, still puffy from his last medicine trial, and asked if this was his typical state. I just said yes. And then he recommended that we increase the dose and hope for the best. So I told him. I told him that we had, in essence, lost our son within 24 hours of starting this medicine. That he had stopped eating, interacting, even opening his eyes. The only way I could tell he was awake was by his agitated breathing. I told him that being on this medicine was worse than uncontrolled seizures. His eyebrows rose and he said, “That’s not good.” Then he gave instructions to start a round of steroids, which we had had some limited success with already, while we started the process of obtaining a drug from Canada. A drug that ended up stopping the seizures within 48 hours. It was an eye opening moment. 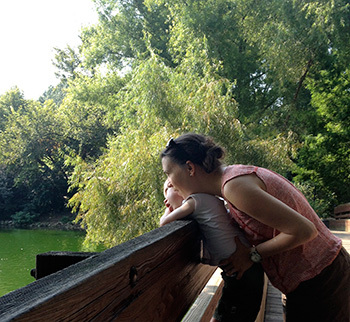 Up to that point, still dazed by the shifting landscape of our future and wrestling with the inevitable grief and anxiety that comes with a diagnosis like Infantile Spasms, I hadn’t quite figured out where I fit in Collin’s care. I tried to make him comfortable and got him to all of his many appointments. But this was the moment that I became his champion. I realized that, no matter how brilliant the specialist, there were things that only I knew. And I realized that I could help Collin if I made myself heard. Loving your child doesn’t make you her advocate. Wanting the best for him does not make you his advocate. Meeting every need does not make you an advocate. Advocating makes you an advocate. And to advocate is to speak on behalf of another, championing their cause, standing between them and the world. Am I saying that the world is against your child? Sort of. The world is against your child in the same way it is against all of us. It isn’t easy. Things take longer than they should or they don’t work at all. People don’t listen. Without waxing cynical, I can safely say that everyday life involves struggle. Add into this mix a medical condition. A developmental delay that inhibits speech. Or mobility. Or comprehension. And what you get is further complexity, increased difficulty. A person who needs an advocate in order to reach their optimal health, function, and happiness. 1. Effective advocacy requires being the voice. Open your mouth. Ask questions. Share observations. Request help or information or guidance. Forge the way for your child with your words. 2. Effective advocacy requires seeing the big picture and then guarding it. One of the best ways to advocate for your child is to have a good grasp on what you’re advocating for. You are not merely representing your son or daughter to a doctor or standing up for them to an insurance company (though those are both important factors). You are building, empowering, and preserving a life for your child, complete with the best possible health and opportunities for development, but also including down time, fun time, exploratory time. You are guarding a childhood and nurturing a little individual. Decisions about medications, therapies, and treatments must be made in light of this whole view. What does your family value? What does your child love to do? What kind of environment to you hope to create at home? How do you want to approach the future? These are questions that, far from turning irrelevant in the face of trial, become even more crucial. Now let’s discuss some practical ways in which we can advocate well in daily life. Even if you have the desire to become an advocate for your child, it can still be hard to know how that plays out in the daily mess of appointments, phone calls, school meetings, and even social situations. Here are a few tips that I’ve found to be consistently true and helpful. 1. Respect but don’t revere your child’s doctors and therapists. It’s not an easy balance to strike, but it makes all the difference in empowering yourself to make the best decisions for your child. In the throes of seizures, it can be tempting to hand too much over to the expert, to simply defer to his suggestion or accept her prognosis. Likewise, some struggle with a tendency to discount or explain away a doctor’s advice, whether from struggling with denial or having dealt with the ramifications of doctor’s decisions in the past. But, as parents, we have to remember that, ultimately, physicians are resources that enable us to make better decisions for our child. They possess expertise that we do not, but we possess expertise they can never acquire in knowing our child, in seeing their big picture. When you have a doctor’s appointment, think about it ahead of time. What is the main thing you want to know when you leave here? What is the main thing you want to communicate to this doctor so he or she has a fuller, more accurate view of your child? When someone recommends a piece of equipment, do you fully understand why? How does it fit in to your child’s bigger picture? And it’s not always medical or developmental situations in which you have to be ready to advocate. Many times, it’s social: if your son can’t speak, how can you help him form relationships with other kids? If your daughter looks different than other kids, how can you help bridge that gap until they can see her more clearly? Sure, sometimes it’s better to let things play out, but you can best make that call by being watchful and thoughtful and ready to step in if needed. 3. Ask the hard questions. Without expecting anyone to be able to see into the future, don’t be afraid to ask the hard questions. “What if we choose not to do this treatment?” “Who else would you recommend we consult about this decision?” “If I had to choose one priority for my child’s therapy, what would you suggest?” “Would we be able to accomplish the same results with half of the visits/sessions?” When it comes to your child, you can’t rely solely on volunteered information when making decisions, so be a hard, critical thinker and ask those questions that arise in the process. As we discussed, there is a reason why YOU are the advocate for your child: you know him best and you are responsible for him. This is not the case for doctors, office staffs, equipment suppliers, or insurance companies. And since your child cannot be their top priority, there will be times when, in order to get what you need, you will have to be the squeaky wheel. Ask for names of people with whom you’re speaking. When promised a response, ask for a date or time when you will have it. Take notes. Call frequently. Daily, if necessary. And, at all costs, resist the temptation to show frustration. It almost never works and this is not that kind of a battle anyway. Think of it more as a statement: that you will not be going anywhere until this issue is resolved. 5. Make the decision and move on. Often, when your child is very complicated medically or developmentally, it can feel like there is no best or clear-cut answer. But the decision still has to be made and you have to make it. No one can do it for you. So, whether the issue is huge or small, collect your info, keep your eye on the big picture, make your decision and, within reason, stick to it. This might seem counter intuitive, but remember that, as an advocate, even though you are always looking out for your child’s bigger picture and standing at the ready to advocate when needed, you are not responsible for every outcome. Not every physician will cooperate. Not every child will be kind. But if you’ve done your part as your child’s champion, you can let that go and move on. Advocating is not easy and it’s not something you will ever master, but there are few other jobs more important or rewarding. There are still often times when I’m uncertain as to whether it is best to let something slide or put my foot down, but with practice I am becoming a better champion for my son. It’s a role I will gladly play as long as he needs me.